A container vessel, Sima Saman and an oil tanker, Kashmir collided on February 10, around 1235 hours, seven nautical miles off Jebel Ali Coast. As the result of collision, the oil tanker was badly damaged and fire erupted in the oil tanker. Dubai police helicopters, boats, Emirates coast guard and an emergency response division of DP World’s parent company took part in the rescue operations. 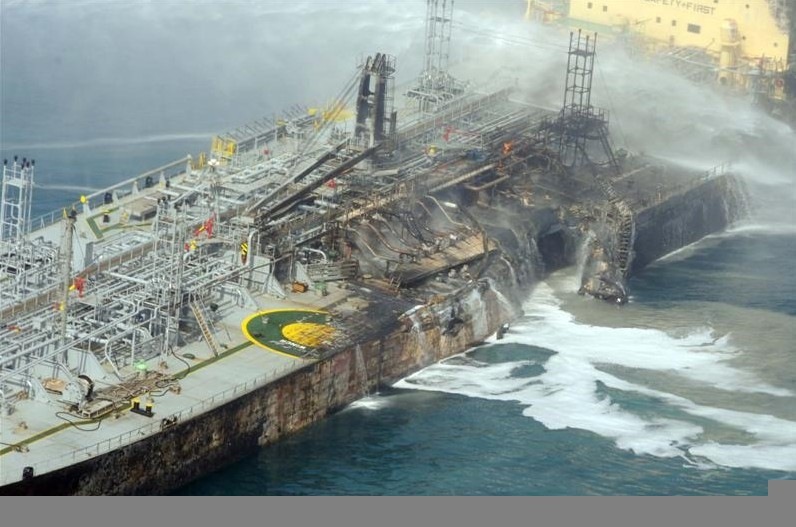 45,000dwt, was carrying around 30,000 tonnes of oil condensates, worth about $9 million from Iran to the United Arab Emirates. is reported to be a Malta registered vessel owned and managed by Italy’s Martinoli Consulting Srl, and operated by Greece’s Petroships. has 20 Indian and Filipino crew. two injured crew members were safely evacuated. is owned by Simatech Shipping LLC. was coming out of the port of Jebel Ali. 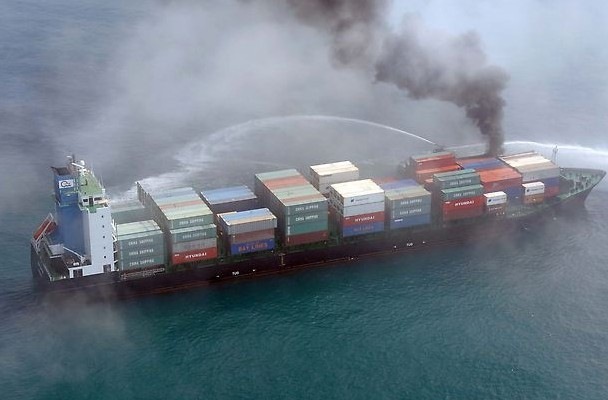 the 19 crew members managed to extinguish the flames in the bow section themselves. Later, all the crew members of both vessels were safely evacuated. By afternoon, the damaged tanker was cleared from the accident site. 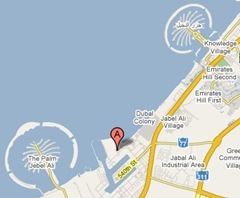 The Jebel Ali channel is now clear and traffic in the channel is back to normal. The quantity of oil spill, if any is not yet known. Here are some photographs from The National Newspaper. 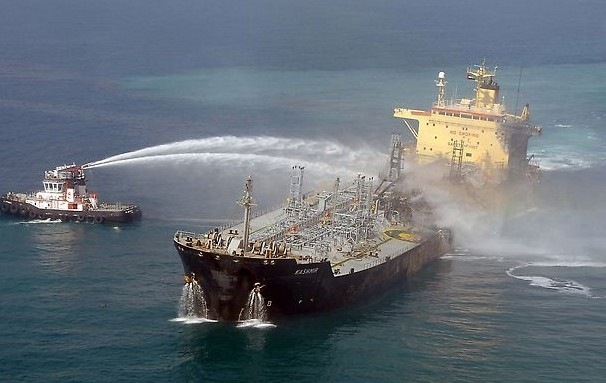 View from The National Newspaper, more photographs of both ships, the rescue operations and video clip of the damaged oil tanker Kashmir, after the fire was extinguished. Read more from Khaleej Times Online. Investigations to find out how two ships collided off the coast of Jebel Ali has started. Read more from The National Newspaper. The crew of the tanker Kashmir are asking for access to the vessel to assess the extent of damage. Read more from The National Newspaper. The owners of Oil Tanker Kashmir are still unable to board their ship for a proper assessment of damage and are awaiting the outcome of the investigation. The owners of Sima Saman have now full access to the ship and are in the process of assessing the damage. The cargo is yet to be inspected and that the owners hoped to unload it over the coming days. But preliminary estimates of the damage to Sima Saman is around $7m to the vessel and the cargo on board. Read more from The National Newspaper.